In other news: forestry stocks are on the rebound; the BC Forest Practices Board has good news for Skeena Sawmills and the Sunshine Coast Community Forest; and the US shutdown impacts wildfire preparations in Colorado and Oregon. Finally, the Oregon Dept of Forestry has a new Deputy State Forester and the Canadian Wood Council is looking for a new President and CEO. Are you someone that is passionate, strategic and driven to succeed? If so, learn more about the job position and the possibility of working with the great team at the CWC! Passionate, strategic, and driven to succeed, the new President & CEO will have a particular affinity for fostering consensus and demonstrated experience in dealing with multiple stakeholder groups. An excellent listener and superb communicator, ideally in both official languages, the President & CEO has a talent for actualising the potential of others and understands the most important resource of any organization is the people working within it. The President & CEO is the primary liaison with stakeholders and will be a tireless advocate for the positive benefits of using wood products in construction. There has been growing concern in the forestry industry over raw logs being shipped out of the province and processed there. That has led to a decrease in jobs and fears that more job losses would come in an industry which was once the backbone of B.C.’s economy. In addition to making changes to ensure bids on timber sale licences are independently made, Horgan is also working on business-to-business relationships between BC Timber Sales, major licensees and First Nations. VIDEO: The new plan aims to increase the amount of B.C. logs that are processed in-province. Nadia Stewart looks at what the B.C. government thinks it can do to reinvigorate the sector. VICTORIA — Premier John Horgan announced measures Thursday to begin revitalizing the coastal forest industry by reducing log exports and increasing domestic production. A tall order to be sure and Horgan acknowledged as much. …The premier drew applause by pledging to reform the existing “fair market rate test” for payments to logging contractors. The test is regarded as anything but fair — indeed close to ruinous — by the truck loggers themselves. …But with the good news out of the way, the premier was met with less enthusiasm when outlining steps the New Democrats will be taking to implement their longstanding opposition to log exports. …Mindful of the need to proceed carefully, Horgan set no targets. …This time last year, Horgan suggested the New Democrats might bring back “appurtenancy,”…But that possibility was soon disavowed as outdated and unworkable by his own forests minister. The B.C. government has extended its log export orders for Northwest B.C. by another six months, allowing coastal logging contractors north of Vancouver Island to export a large share of their harvest. But “raw log” export policy is about to change for all producers who export logs from B.C. Crown land, Premier John Horgan said Thursday. 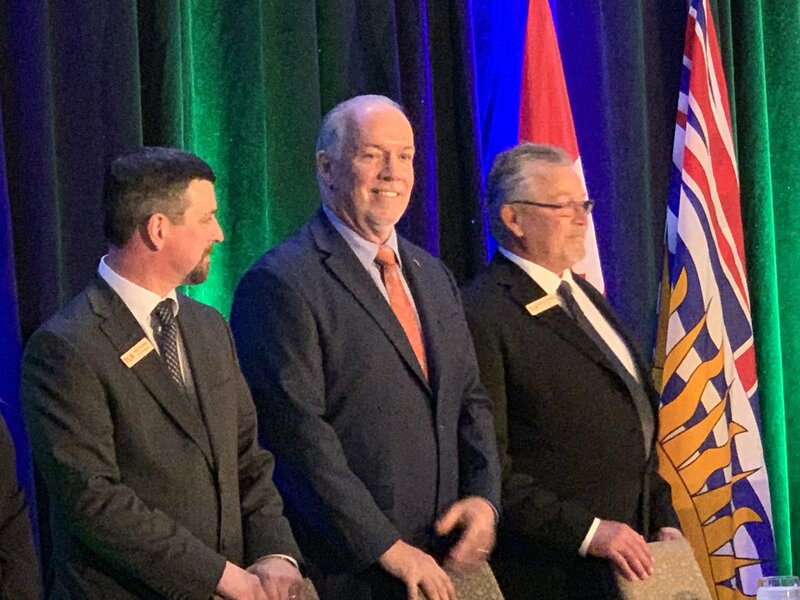 …Horgan announced a revitalization plan with five goals, including rebuilding solid wood and pulp milling to process more wood in B.C., improving harvest efficiency, tightening up timber bidding systems to make sure bids are independently made, and auditing private forest land logging. …Cabinet orders for log exports out of the Haida Gwaii, Mid Coast, Nass, North Coast and Northwest Interior timber supply areas were extended Thursday, but only to July 2019. …The northern regions have been subject to relaxed log export rules for many years, due to a lack of mill capacity within economic reach of remote areas. Vancouver – Following the completion of the long-awaited Contractor Sustainability Review and its resulting recommendations, Premier Horgan announced a significant change to the Timber Harvesting Contractor and Sub-contractor regulation, which was the elimination of the fair market rate test. The Premier made his announcement during his address to a full room of 350 timber harvesting contractors at the Truck Logger Association’s 76th annual Convention & Trade Show. “Today’s announcement is what we were hoping for and will result in a fundamental shift in the relationship between contractors and their employers across the province,” says David Elstone, executive director of the Truck Loggers Association. “Elimination of the fair market rate test is a monumental change for our industry, allowing contractors to more equitably share in the value of the timber resource.” The Premier also made a commitment today to exploring solutions that the TLA has put forward to address the industry’s acute skilled labour shortage. VANCOUVER — Plans are in the works to rebuild the wood and secondary timber industries in British Columbia by ensuring more logs are processed in the province, said Premier John Horgan. …The actions will reverse a systematic decline that has taken place in the coastal forest sector over the past two decades, he said, adding the plan will be implemented through a series of legislative, regulatory and policy changes over the next two years. …This will be a phased-in process and will apply to new sales through B.C. timber sales programs, he said. …TLA Executive Director David Elstone said the announcement addresses growing concerns about forest management on the coast. …The B.C. Green caucus said in a statement that widespread mill closures, large-scale exports of raw logs, growing amounts of useable waste fibre left at cut locations, intensifying wildfire seasons and pest outbreaks are all challenges the government must take seriously. Premier John Horgan revealed on Thursday the pillars of a “conscious and deliberate strategy” to curtail exports of minimally processed lumber. The goal: to rebuild the province’s solid wood and secondary forestry industries, and to turn profits from processing abroad into investments in BC. “The changes that were made by the BC Liberals have enabled log exports to be the easiest way to make quick money. We’ve seen Canadian companies investing in U.S. mills, not investing in BC. We want to turn that around,” the premier told attendees of the 76th annual TLA Convention. 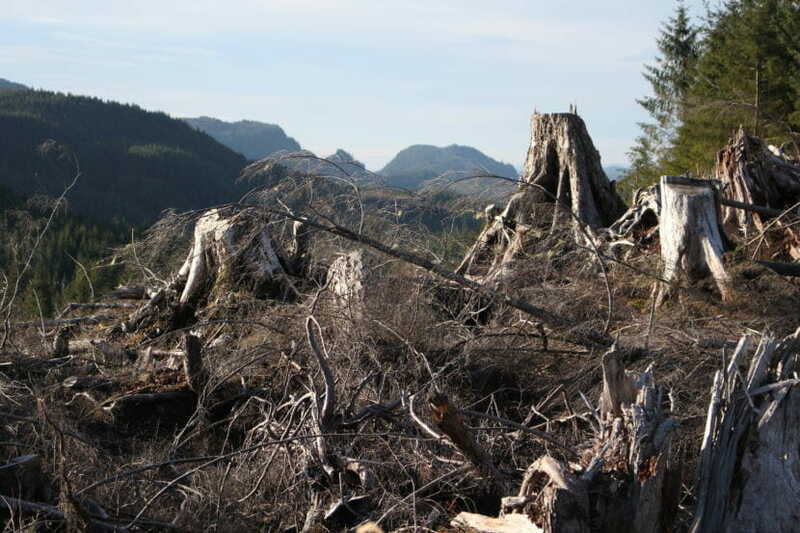 “Shareholders are happy with that, British Columbians are not.” …The plan will include reforms to raw log export policies, as well as carrot-and-sticks measures to eliminate surrogate bidding, penalize waste, encourage fibre production and discourage high grading – a type of logging where the highest grades of timber are selectively removed from a forest. To create and support good jobs in British Columbia’s coastal forest sector, government is making policy changes to increase the processing of B.C. logs on the coast and to reduce wood waste by redirecting it to B.C.’s pulp and paper mills. 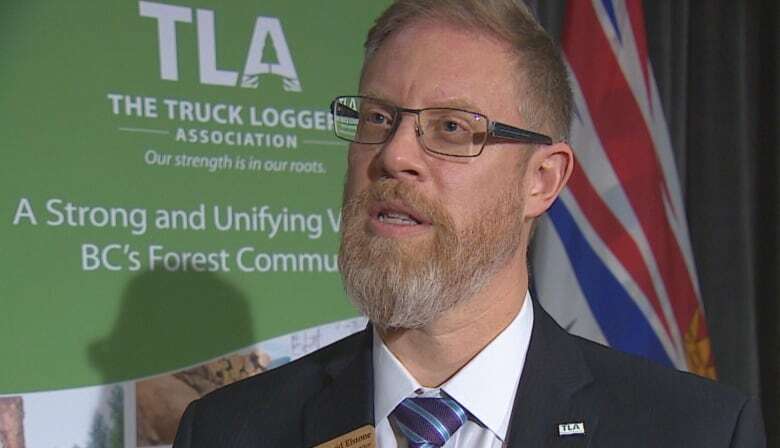 The changes, as part of the Coast Forest Sector Revitalization Initiative, were announced by Premier John Horgan at the annual Truck Loggers Association (TLA) convention. Government is taking steps to reverse a systemic decline that has taken place in the coast forest sector over most of the last two decades. …Effective July 1, 2019, the fee charged for log exports will be revised to be based on harvest economics. New criteria for log exports from certain geographic areas, based on local harvesting economics and subject to engagement and consultation with First Nations, will be developed. Changes to waste policy are designed to redirect … wood waste on the coast … to pulp and paper producers and the bio-products/bioenergy sector, supporting CleanBC’s renewed bioenergy strategy. A recent audit of Skeena Sawmills found five cutblocks in the Kitimat area were in non-compliance with provincial regulations governing silviculture. At issue was the planting of seedlings outside the allowable elevation zone. The finding by the Forest Practices Board was the only fault discovered in a random audit last summer to ensure the company’s practices are in line with the Forest and Range Practices Act and the Wildfire Act. Planting seedlings in the wrong elevation can potentially lower their overall survival and productivity rates. Skeena Sawmills’ woodlands manager, Greg Demille, says the seedlings were placed about 80 metres outside the proper elevation zone. The contractor responsible is no longer employed by the mill, due in part to the error. “It wasn’t very far outside the zone, so we’re quite confident the trees there will survive and grow as they should,” Demille says. “Aside from that, it [the audit] was a great experience. Salem – The Oregon Department of Forestry (ODF) has selected Lena Tucker to be the next Deputy State Forester, following Nancy Hirsch, who retired from her position in December. Tucker will serve as the Deputy Director for Operations, overseeing the department’s operating programs in fire protection, private forests, and state forests. “I am very excited to work with Lena in her new role. She has a proven record of leadership within the department and at the local and national levels,” said State Forester Peter Daugherty. Tucker has worked for ODF since 1994, and has worked in all of the department’s program areas throughout her 25 year career with ODF. Most recently, she served as the department’s Private Forests Division Chief, working with private forestland owners to implement the Oregon Forest Practices Act, work on forest health, and provided technical assistance programs, along with working on the Urban and Community Forestry Program. “What,” asks Sydney architect James Fitzpatrick, “has our generation added to new technology and ways of building?” Since the 1970s, argues the founder of Fitzpatrick + Partners, “nothing substantial has been added to the architectural oeuvre. “But suddenly there is a technology and material that is of our time. So what we will leave, I think, will be engineered timber construction”. With several Fitzpatrick-authored CLT buildings already up and with a decade-deep investment in researching the scope of the various engineered timber products, Fitzpatrick is a passionate promoter of a sustainable and beautiful building material that has, to this point, been largely sourced from Europe. But courtesy of two new Australian-based manufacturing plants – one that commenced construction on Thursday, January 17, in Maryborough, Queensland – by the end of the year Australia should be able to supply its own needs for what is already termed “the GLT (Glue Laminated) Revolution”. Tree Canada will continue to help green dozens of schoolyards and neighbourhoods thanks to a $225,000 multi-year contribution from Pembina Pipeline Corporation. Now in its second year, this initiative supports Tree Canada’s annual grant program and an estimated 40 new tree planting projects are planned between 2018 and 2020. Tree Canada, Canada’s leading national tree-planting charity, will help schools and communities improve their tree canopy and grow better places to live. Trees are critical to strong communities. They help us to live healthier lives by providing multiple environmental, social and economical benefits to our cities such as absorbing CO2, cooling our homes and reducing our stress. Research shows that living near trees lowers the risk of mortality from common causes and helps to improve our mental health. The effects of climate change in our cities can be mitigated by increasing our urban canopy. VICTORIA – An investigation of a public complaint on the Sunshine Coast has found that the Sunshine Coast Community Forest took the appropriate steps when planning and harvesting a cutblock near Wilson Creek. “The issue of sediment in water and impacts on fish habitat is a serious one. This investigation highlights the reasonable steps a forestry licensee should take when working in areas with natural terrain hazards that are also important for fish, water and community interests,” said Kevin Kriese, board chair. The complainant was concerned that the community forest had not assessed the risks of logging the cutblock and had caused sediment to enter Wilson Creek, a fish-bearing stream. The investigation found that the community forest had followed all legal requirements and completed several voluntary assessments, which found that forest harvesting would not pose a significant risk to terrain stability, water flows or fish habitat. Young adults interested in learning a diverse range of job skills while working outdoors this summer can now apply for the BC Parks Student Ranger Program. Now in its second year, the Student Ranger Program provides 48 young adults training and employment opportunities in B.C.’s parks and protected areas, with a 30% Indigenous hiring target. “The student rangers play a key role in environmental stewardship while preserving the natural, cultural and historical values that British Columbians cherish,” said George Heyman, Minister of Environment and Climate Change Strategy. “I hope the program inspires young adults to consider a meaningful and rewarding career looking after B.C.’s beautiful parks and protected areas.” Funded by the federal and provincial governments, the Student Ranger Program offers hands-on work experience related to conservation, recreation, community outreach and Indigenous relations. THUNDER BAY — Lakehead University has named a professor from Finland its new chair in Finnish Studies. Dr. Jaana Laine will teach at the Thunder Bay campus and conduct research on the human-forest relationship, focusing on Finnish-Canadians in northwestern Ontario. Laine’s doctor dissertation at the University of Helsinki was entitled Rules of the Timber Trade. Timber trade between private forest owners and forestry industry in eastern Finland, 1919-1939. …A statement from Lakehead University notes that she is interested in hearing from Finnish-Canadians and their descendants for her research project on the human-forest relationship. Despite the partial federal government shutdown, some U.S. Forest Service staffers are still working on a plan for a large timber sale in Southeast Alaska. Those who oppose the logging are worried their concerns aren’t visible enough during the shutdown. Leaving them to wonder how the agency can keep up with the public record when it’s not fully staffed. The Southeast Alaska Conservation Council, or SEACC, opposes a federal timber sale that could take place on Prince of Wales Island. The group wanted to file its objections by the December deadline and managed to submit its complaints the day before the government shutdown. Buck Lindekugel, SEACC’s attorney, assumed the proceedings would be on ice. After all, dozens of Forest Service staff in Alaska aren’t receiving a paycheck, and many of them aren’t even at work. PORTLAND, Ore. — …officials are gearing up for this year’s fire season and fear the government shutdown could make it even more difficult… The winter months are critical for wildfire managers who use the break from the flames to prepare for the next onslaught, but much of that effort has ground to a halt on U.S. land because employees are furloughed. Firefighting training courses are being canceled from Tennessee to Oregon, piles of dead trees are untended in federal forests and controlled burns to thin dry vegetation aren’t getting done. Although the furloughs only affect federal employees, the collaborative nature of wildland firefighting means the pain of the four-week-long shutdown is having a ripple effect — from firefighters on the ground to federal contractors and top managers who control the firefighting strategy. …”Even if the shutdown ends and we start hiring people, we will have missed the cream of the crop,” DeGrosky said. COLORADO — The government shutdown is disrupting wildlife mitigation efforts used to protect our forests and mountain communities. The Colorado State Forest Service works closely with federal agencies, like the U.S. Forest Service. With Forest Service employees currently furloughed, certain projects aren’t being done. “On the federal side of things, where they`re doing some of their burns, you just don`t have the troops in the field to get it done,” explained Mike Lester, Director of the Colorado State Forest Service. …This time of year, federal and state forest workers do pile burns. Pile burns include burning brush, trees and other fuels collected throughout the year. Winter is the ideal time to do it because the snow makes burning safe. “I think the last time we looked at them there are roughly 2,000 piles out there,” Lester said. Washington state has a wildfire crisis. In 2018, the Washington State Department of Natural Resources – the state’s largest wildfire fighting force – responded to more than 1,850 wildfires, a record high. Across Washington, 440,000 acres burned. …To help Washington prepare and manage this escalating risk, Commissioner of Public Lands Hilary Franz today released Washington’s Wildland Fire Protection 10-Year Strategic Plan. …The plan lays out 40 strategies to accomplish four key goals: Washington’s preparedness, response, and recovery systems are fully capable, integrated, and sustainable, Landscapes are resilient – in the face of wildland fire, they resist damage and recover quickly. Communities are prepared and adapted for current and future wildland fire regimes, and Response is safe and effective. Compared to gene-edited babies in China and ambitious projects to rescue woolly mammoths from extinction, biotech trees might sound pretty tame. But releasing genetically engineered trees into forests to counter threats to forest health represents a new frontier in biotechnology. Even as the techniques of molecular biology have advanced, humans have not yet released a genetically engineered plant that is intended to spread and persist in an unmanaged environment. Biotech trees – genetically engineered or gene-edited – offer just that possibility. …The committee found that the U.S. Coordinated Framework for the Regulation of Biotechnology, which distributes federal oversight of biotechnology products, is not fully prepared to consider the introduction of a biotech tree to improve forest health. Three Chinese fir trees on a nature reserve in Southeastern China are the last of their kind. As their existence is threatened by human disturbance and climate change, researchers are hurrying to learn everything they can about the tree — [including] ways to treat various cancers. Chemists in China were initially studying the tree, Abies beshanzuensis, to …treat diabetes and obesity. …The tree’s healing powers looked grim until Mingji Dai, an organic chemist at Purdue University, started tinkering with some of its molecules in his lab. His team created synthetic versions of two, and then a few analogs, which have minor structural modifications. In collaboration with Zhong-Yin Zhang, a distinguished professor of medicinal chemistry at Purdue, he found that one of the synthetic analogs was a potent and selective inhibitor of SHP2, an increasingly popular target for cancer treatment. The findings were published in the Journal of the American Chemical Society.